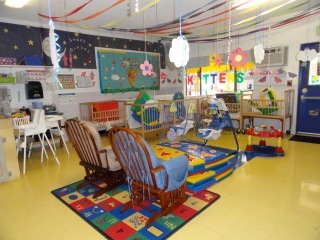 We enroll children from the age of 4 weeks, they stay in our infant room till the age of 1 year until they are walking and stable enough to move up to the next classroom. Our infant care policy is based on our love for babies and out of respect for the trust you have placed in us in caring for your child. Our staff will do everything they can to provide an optimum learning environment for your child. Your child's safety and well-being is very important to us.